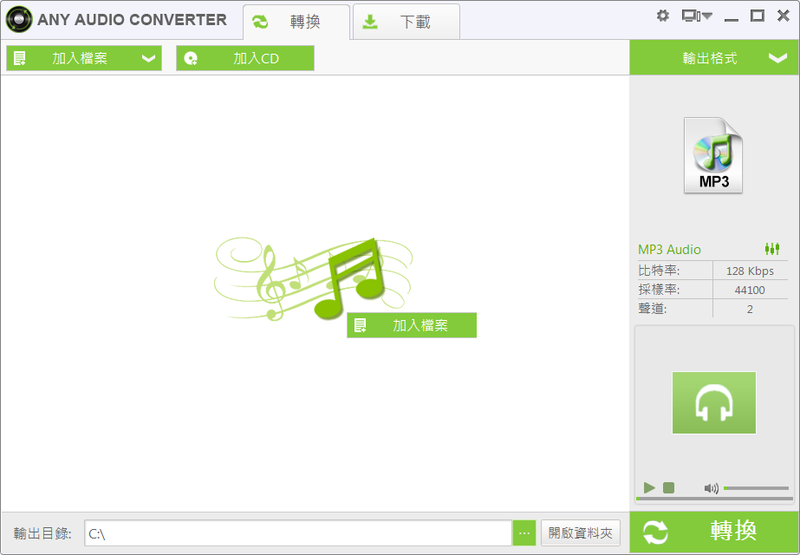 With Any Audio Converter, you can free to convert audio files between all key audio formats: WAV, WMA, OGG, AAC, MP3, M4A, MP2, FLAC, AIFF, DTS, AU, such as m4a to mp3, wma to mp3, mp2 to mp3, mp3 to aac, wma to mp3, mp3 to flac, mp3 to aiff, mp3 to au, ape to mp3, ra to wma, flac to wav, etc. It also supports separating CUE associated MP3, APE, WAV, and FLAC with CUE into MP3 format. You are able to rip audio tracks from CDs to MP3 or add and edit Id3-Tag information as well.